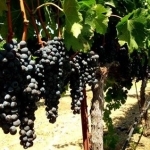 Merlot – 25.0 B – brown shoots & seeds, nice juice fruitiness, will be harvesting this week! 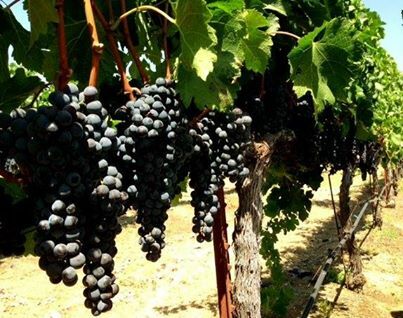 Zinfandel – 23.5 B – classic large berried bunches still need a bit of time for that classic Zin character development. Finished all of our white grapes last week and we are looking forward to beginning our mid-season red varieties Merlot & Zinfandel. The Merlot was winery tested at 24.2 yesterday…so our testing results from tomorrow’s testing should let us know how the warm weather this weekend has affected sugar accumulation! By Janice|2017-05-19T21:03:38-07:00September 9th, 2013|Harvest|Comments Off on Merlot Getting Closer! We have finished our white grapes…nicely complete before this current heat wave. We are going to see a sugar bump from the heat in our red varieties but I am hoping that we can keep the later varieties Cabernet, Malbec and Petit Verdot on the vine for about another two weeks. The Merlot though is quite close with phenologically ready shoots and seeds…so it will probably be ready sometime this coming week.